As another Fall came over our lives, we had the start of a new school year, with projects and activities dedicated to kids and youth. We are so happy to meet each other again, little kids or big ones, staff and volunteers … And by the way: our team is growing. 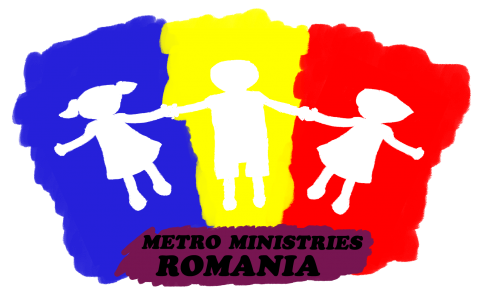 We have now with us two new young workers, Bianca (a high-school graduate in Sighișoara) and Chase (a young American volunteer).”New” is just a way of saying: both of them were volunteers in the past, for some seasons, in this ministry. We welcome both of them and invite them in this adventure with God among so many people loved by Him. With Ana Maria and Bianca we provide a good kindergarten service to the little kids in the Goldberich community. We have some new kids coming this year. They are welcomed every morning and encouraged to learn new things and develop good relationships with each other. The program covers now the first seven grades in school. We have 36 children registered and still others are joining the program these days. For four days a week they receive a warm meal and tutoring for homeworks. We are confident this year all the kids will manage better in school and none of them will have to reapeat the school for another season. The Sunday School programs were received with much anticipation, from kids and from our staff also. Welcome at the kids program! Besides Goldberich and Daneș, we started to work in a new site, in Laslea, in partnership with a local church there. Over 75 kids came there for the first program. They were very enthusiastic and for us it was a refreshing experience, as we encountered their joy and enchantment during the activities, games and lessons. … about how big is our God! The youth group – dedicated to teens over 14 years old – has a new beginning, in a slow pace, with weekly meetings. It`s a time of getting to know each other better and build strong relationships. We play toghether, we have fun and sometimes we have less or more formal discutions on specific issues related to the problems they face in life at this age. Please, continue to pray for us, for the team (Dyo, Bianca, Chase and Maria), and also for the youth from the Goldberich area.